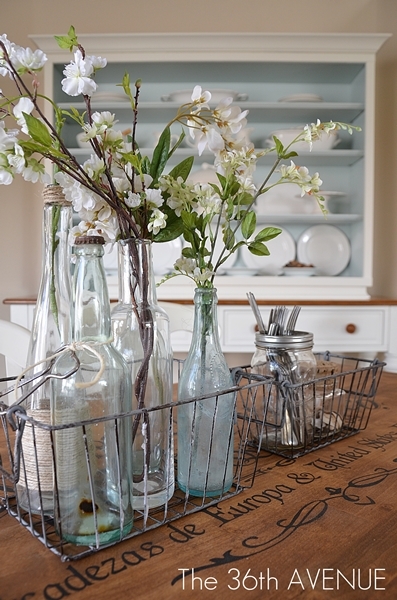 Wire baskets are the perfect accompaniment to any farm house. 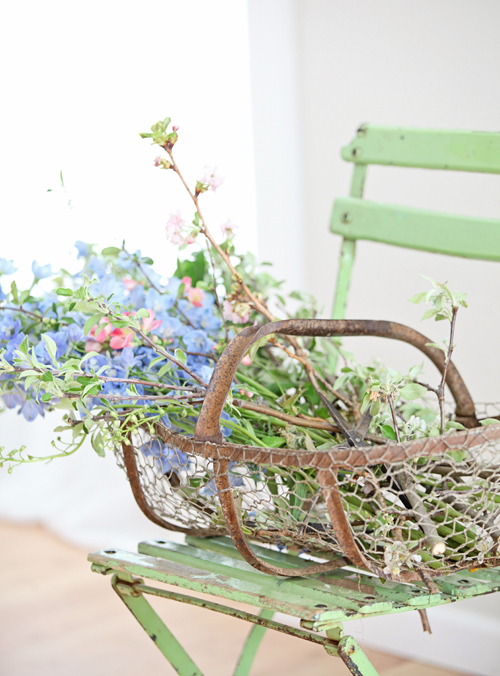 They are great for storing almost anything, from vintage linen to fresh flowers. 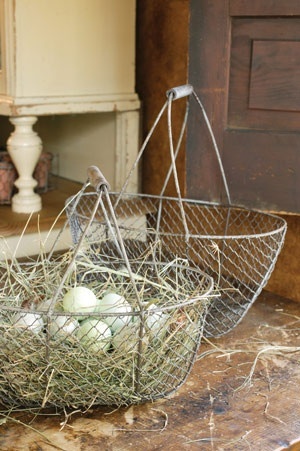 I love wire baskets and have a few around my house! Loved the variety of the baskets in your pictures. great ideas.